Our modular cube range is a perfect way to configure your seating plan to suit your event space. You can choose from an assortment of funky colours to create an unlimited variety of arrangements. 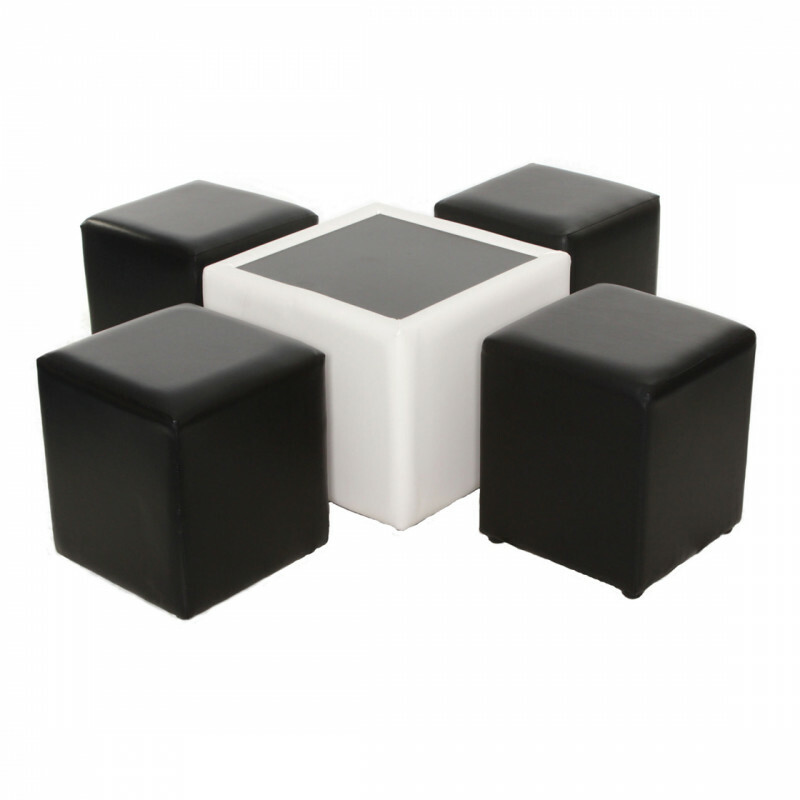 The white cube table with is a versatile option that really will make the most of your space. Made from leather its funky design is fun way to form various seating areas within your event space which can be adapted to suit your colour scheme. You can choose to mix and match with other coloured cubes or you may decide to define areas into sections with a lounge area with sofas or a bar area with stools and poseur tables. Either way, the possibilities are endless with our funky modular cube tables.